Zenith hold a certain affinity for mechanical machines – and not just of the time-telling variety. From pilot watches that celebrate all things planes and motorbikes, to El Primero-powered chronographs that take their open road inspiration from the world of classic cars. For the past three years the Swiss manufacturer has also enjoyed a partnership with British 4WD vehicle manufacturer Land Rover. 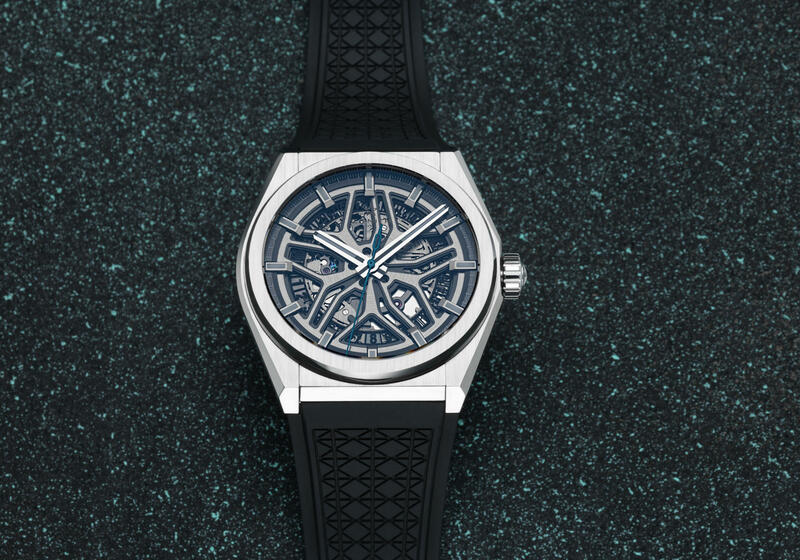 To celebrate the introduction of the next-generation Range Rover Evoque, Zenith have once again partnered with the iconic UK carmaker and released this limited-edition version of the modern and sporty Defy Classic Skeleton. The very first extension of the Defy Classic line that we’ve seen since it was released back at Baselworld 2018, to the untrained eye, the differences might take a minute to recognise. However, once you know what to look for, the subtle changes, and even the watch’s Evoque inspiration, become immediately apparent. 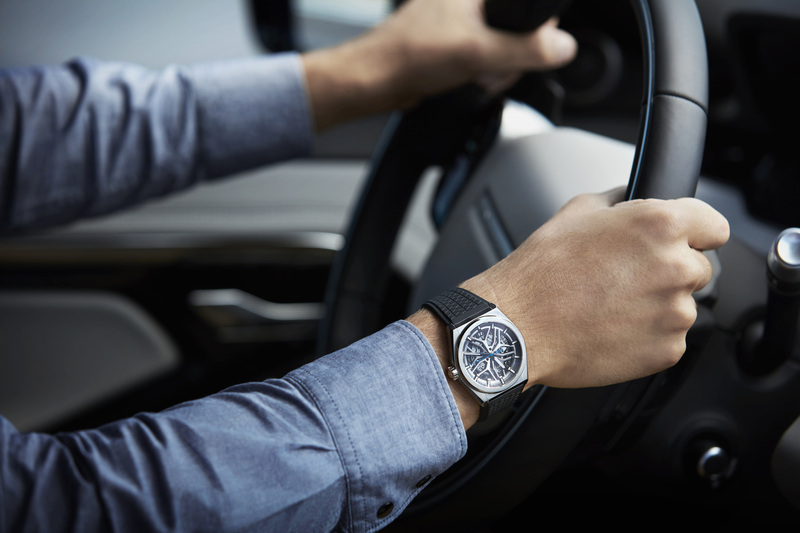 There’s still the same incredibly versatile — and frankly, good-looking — 41mm titanium case that’s water resistant to 100 metres, and inside, displayed in all its glory, is the brand’s 50-hour Elite 670 SK automatic movement with its silicon escape-wheel and lever. What has changed, though, are the colourful highlights found on the front and back. Both the seconds hand and the movement’s star-shaped rotor are attired in Arctic Petrol – an icy bright turquoise blue, and a colour that’s been taken from the accents of the Range Rover Evoque’s leather steering wheel and seats. 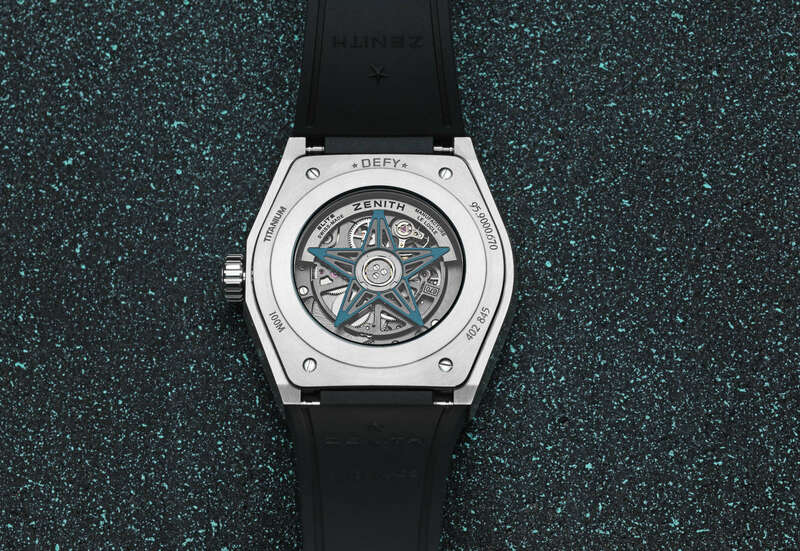 While the star-like pattern that once rested above the Defy Classic Skeleton’s openworked dial has been tweaked ever so slightly and now resembles the structural design of the Evoque’s 21-inch wheels. Limited to just 200 pieces worldwide, the final touch then cements the SUV inspiration of this Defy Classic. With a quilted diamond motif adorning its special black rubber strap – a pattern picked up from the upholstery of the premium range compact 4WD. While the inspirations and differences may be subtle, together they amount to a fresh new take on the modern Defy, and one that pays a fitting tribute to the streamlined classic silhouette of the iconic Range Rover.